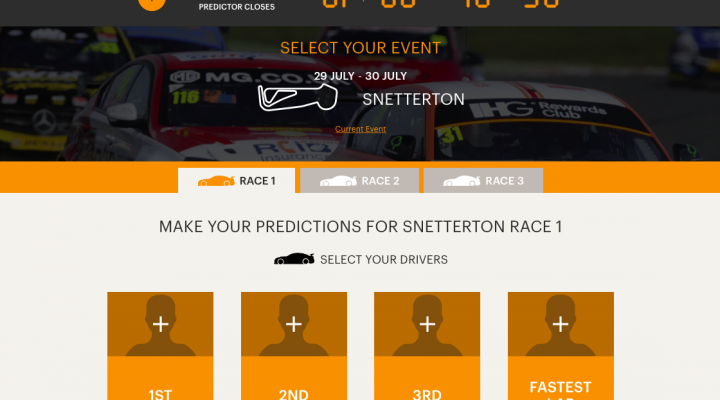 The IHG® Rewards Club Podium Predictor makes its comeback as the BTCC returns after the mid-season break at Norfolk’s Snetterton circuit, so be sure to get your entries in over at podiumpredictor.com now! John Hindhaugh, The Voice of Global Sports Cars on Radio Le Mans, TV presenter and radio commentator reckons Gordon Shedden, Colin Turkingon and Matt Neal will seal victories while earmarking Mat Jackson as the man who’ll nail the fastest lap of the weekend. Entries are open until 2359 on Saturday evening – so you get the chance to analyse Free Practice and Qualifying before you make your predictions.